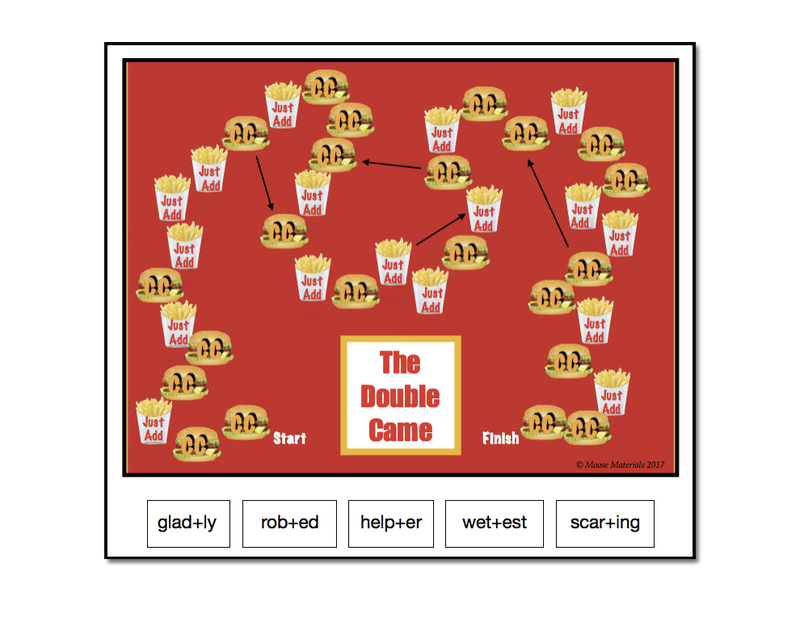 Purpose: To read and match words by divison pattern. 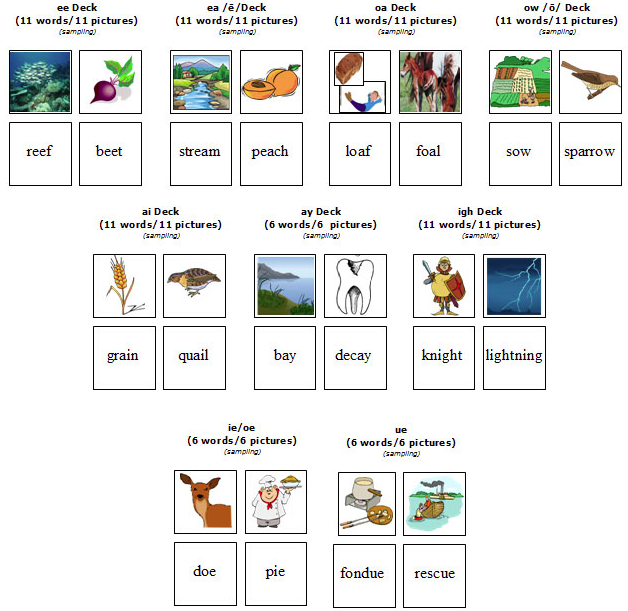 Description: Fronts of cards have a word and a number. 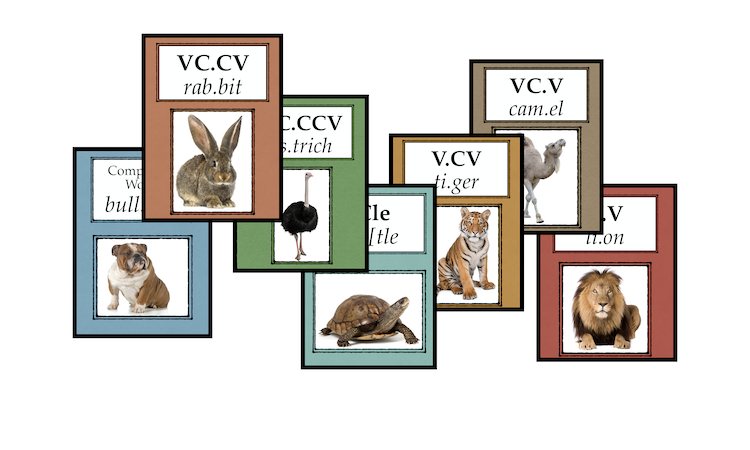 Label cards allow the game cards to be used for sorting. A colorful illustration of a “Crazy Moose” is on the backs of all cards. 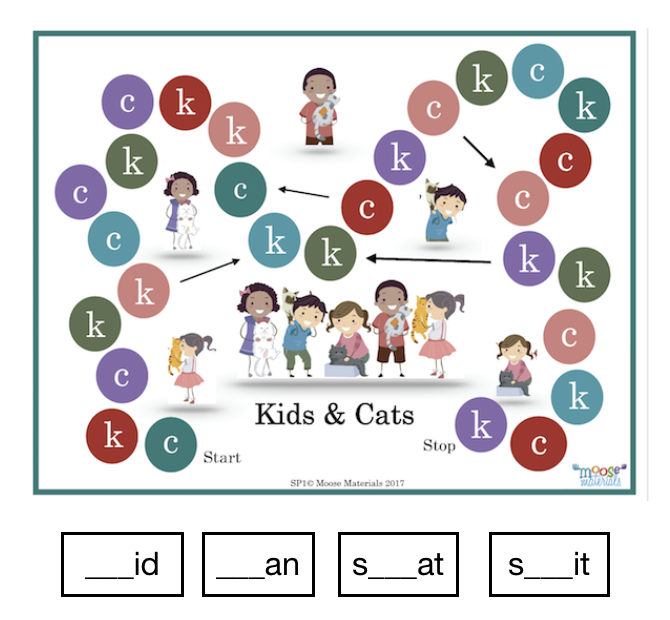 Activities: Prior to playing the games, students can sort cards by syllable division pattern as they place them under category cards. 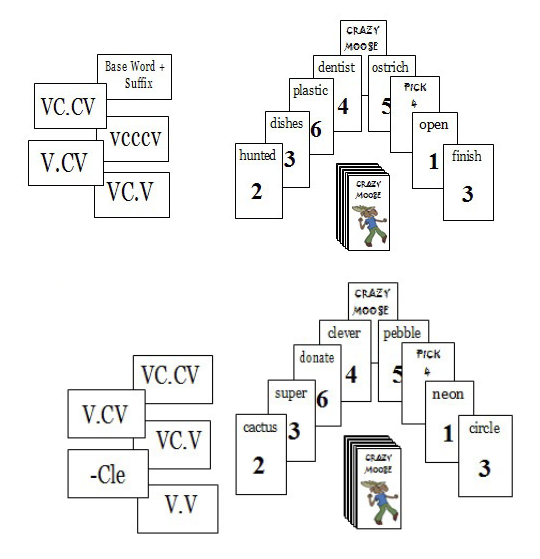 When playing Crazy Moose, students match the division pattern of a word or the number on the card, to the overturned card on the top of the discard pile. Crazy Moose cards allow students to change the division pattern to be played. 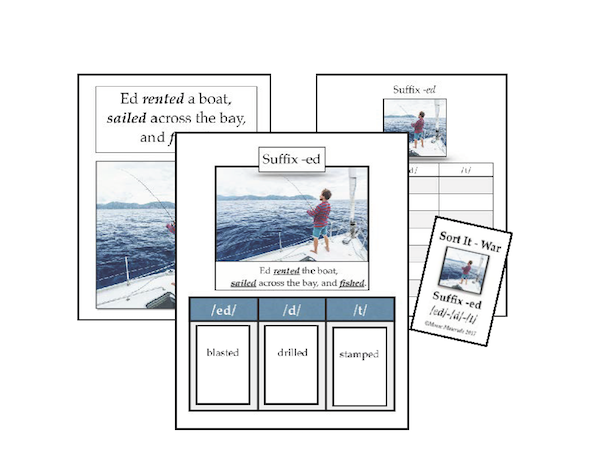 Decks can also be used for reading and spelling drills. Similar to Crazy Eights.